Modul-System Limited has many years of experience in producing lightweight steel racking systems. We were the first in our industry to introduce high-strength steel in our products and are now taking the next step by introducing ultra-high strength steel in our racking systems. Using a high-tech material, the thickness and weight can be reduced even further, while the solutions remain extremely robust and collision-safe. A lighter weight racking system provides many benefits, including increased load capacity, lower fuel consumption and reduced emissions. When load capacity increases, you can load more equipment and materials without the vehicle’s maximum load capacity being exceeded. Alternatively, the reduced weight of the racking system can contribute to reducing fuel consumption and lowering CO2 emissions. Ultra-high strength steel is four times stronger than mild steel. 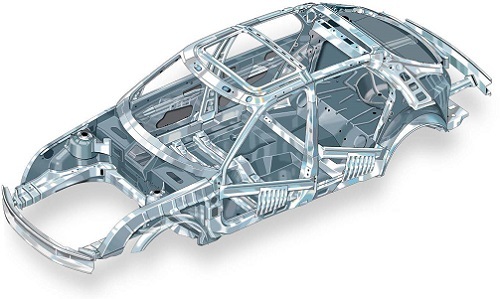 The automotive industry is using the material, for example, in doors where you need to safeguard the driver or passenger by providing a high level of protection in the event of a side impact.